I have drafts in my head that I want to put on page but instead I’m painting so the words will have to wait just a bit longer. Things are brewing. Not coffee of course. Welp. I made it three hours into the morning and legitimately thought about throwing in the towel. That is how much I was missing my coffee. But instead I brewed lots and lots of hot water with lemon. Then I stared at piles of vegetables and decided to figure out a Plan for them later. Just Follow the Joy! 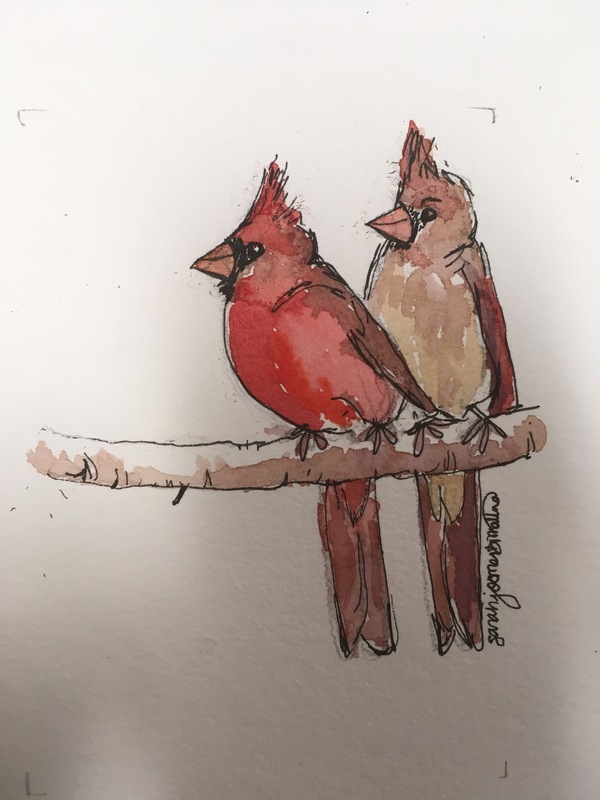 • This entry was posted in Art, Writing & Big Magic, Birds, Mind of Sarah and tagged art, blogging, cleanse, creativity, daily life, health, illustration, watercolor, writing, yoga. Bookmark the permalink. ← Pour me some hot water and get me a lemon! Change is in the air. Birds would definitely choose lemon water over coffee. Tap into your inner bird in times of craving! Yes they would wouldn’t they? Great idea!